Gulf leaders have announced they will not attend the summit of US and allied Arab states at Camp David later this week. Their substitution with more junior leaders is being seen as a rebuff to President Barack Obama’s negotiations with Iran over its nuclear ambitions. King Salman of Saudi Arabia announced on May 10 that he would not attend. The White House, which has not publicly commented, previewed King Salman’s visit as recently as May 8. The talks, which will now be largely attended by leaders at the ministerial level, were designed to reassure the Arab allies of US support on a number of issues including talks with Iran and instability in several Arab states. The official reason for the Saudi leader’s absence is that the summit coincides with a humanitarian cease-fire in Yemen, where a Saudi-led alliance is battling Shiite Houthi rebels. President Barack Obama had planned to meet with King Salman on May 13 – the day before the summit was supposed to take place at Camp David, near Washington. Leading the Saudi delegation now will be Crown Prince Mohammed bin Nayef, who also serves as the country’s interior minister. King Salman’s son, Deputy Crown Prince Mohammed bin Salman, who is Saudi Arabia’s defense minister, will also be in the delegation. Separately, the tiny island kingdom of Bahrain, whose leadership has close ties to the Saudis, said that it would be sending its crown prince, Salman bin Hamad al-Khalifa, to the meeting. Bahrain plays host to the US Navy’s 5th Fleet, which is Washington’s main maritime counterbalance to Iran, and is in charge of US operations around the Arabian Peninsula and northern Indian Ocean. The Sultan of Oman and the President of the United Arab Emirates are both known to be very ill, and do not travel for non-medical purposes – and were not expected to attend. The Kuwaiti emir, Sabah al-Ahmad al-Sabah, will attend the summit and has already arrived in the Washington area. Qatar’s emir, Sheikh Tamim bin Hamad al-Thani, is expected to attend as well. 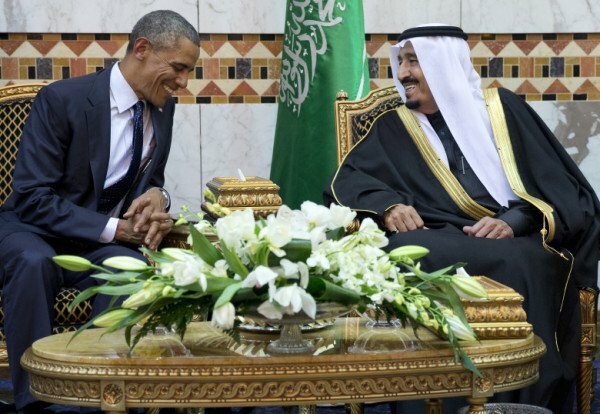 The Saudi king will likely call President Barack Obama on May 11 to talk about his decision not to attend the summit, the New York Times reported citing an anonymous White House official. King Salman, who came to power in January, has not travelled outside of Saudi Arabia since assuming the throne.